Featuring on the breakfast menu at Café Latte this omelette features basil pesto, sundried tomatoes and feta. This delicious dish is also a popular lunch choice, along with much loved favourites – the chicken and mushroom crepe, the beef and reef burger, as well as fresh sandwiches and wraps. With weekly changing seasonal specials, you’ll be sure to find something to tickle your taste buds. The cafe offers freshly in-house Roasted Coffee, gluten free meals and private functions. Phone orders are welcome and ask about their new and exciting catering options to your home or office. Just give the friendly team a call on 6363 1855, they are only too happy to assist. Located at 173 Summer Street, with friendly service and a relaxed feel, Café Latte is open seven days a week, Monday through Friday 6am-5pm, Saturday 7am-2.30pm and Sunday 7.30am-11.30am. 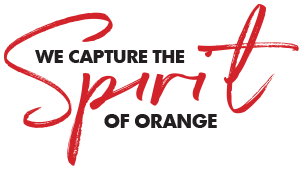 Apr 3 C’mon Orange, let’s dig deep for Matthew!